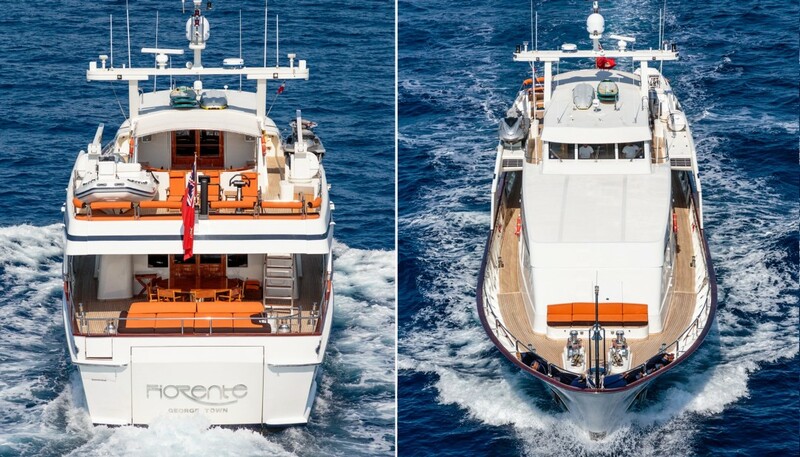 Luxury Motor Yacht FIORENTE is 37m long and was built in 1990 as a luxury classic by Ferronavale. 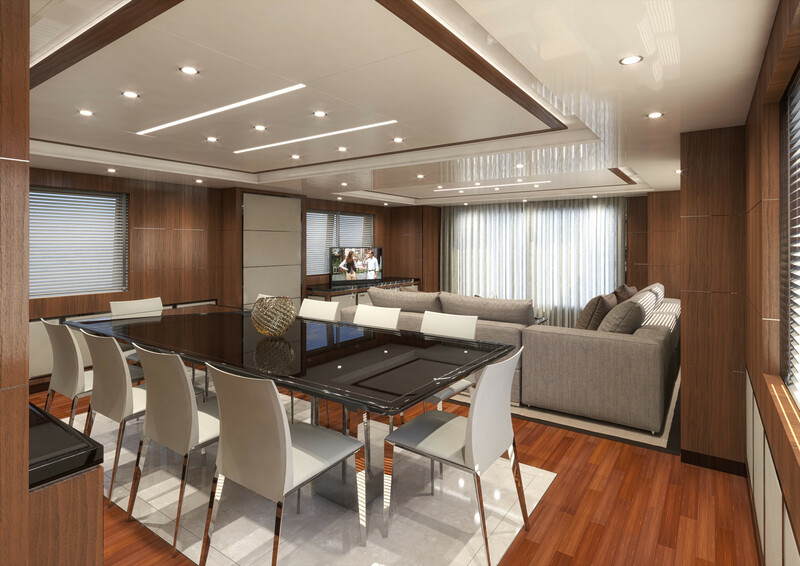 Studio Peterlin Ltd developed naval architecture and exterior profile, while Alberto Pinto created her updated interior styling. 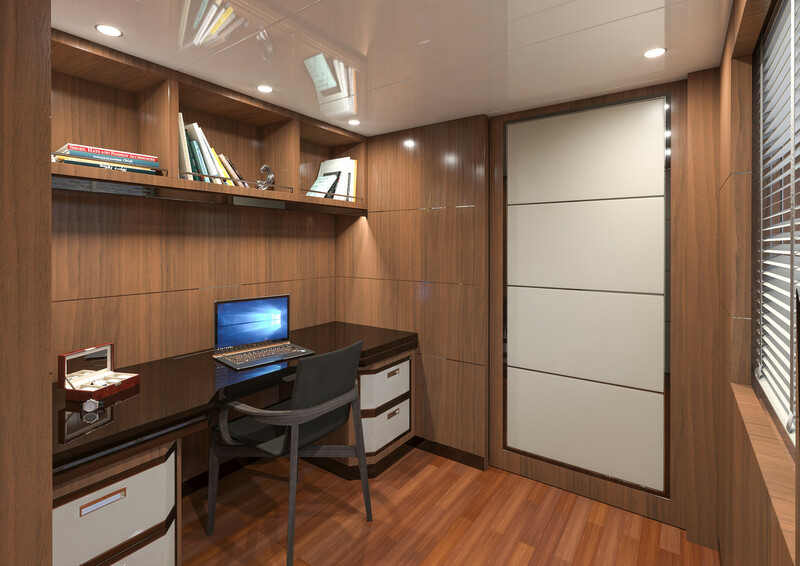 Fiorente provides accommodation for up to 10 guests in five well-appointed cabins. 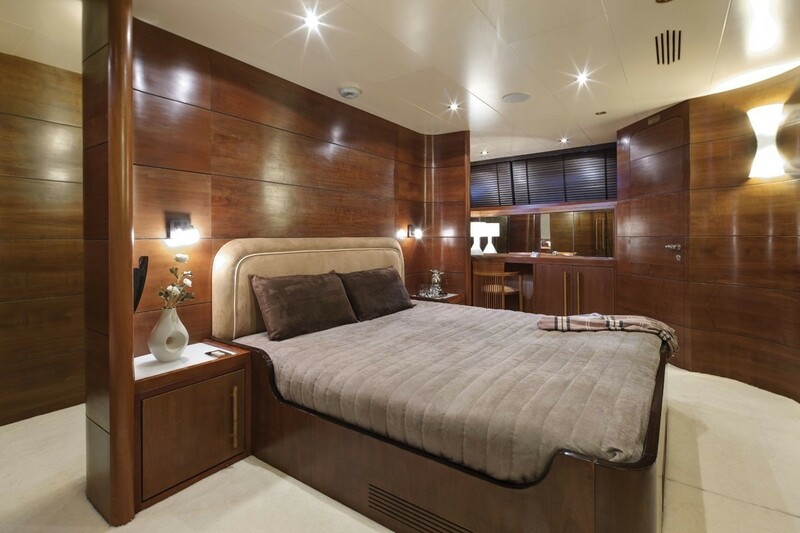 Her interior decor is charmingly elegant with warm wooden tones. 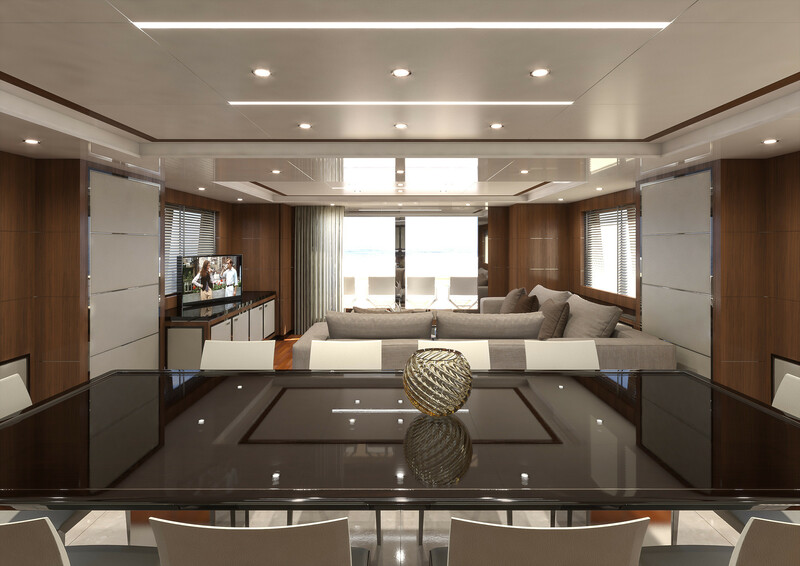 There is a large entertainment area with the latest Bang & Olufsen entertainment system. 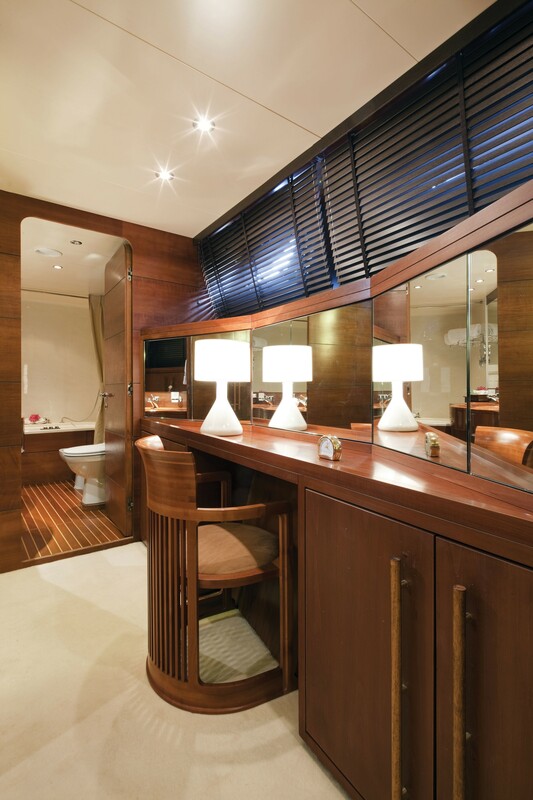 Her formal dining room seats eight guests and is separate from the salon offering privacy. 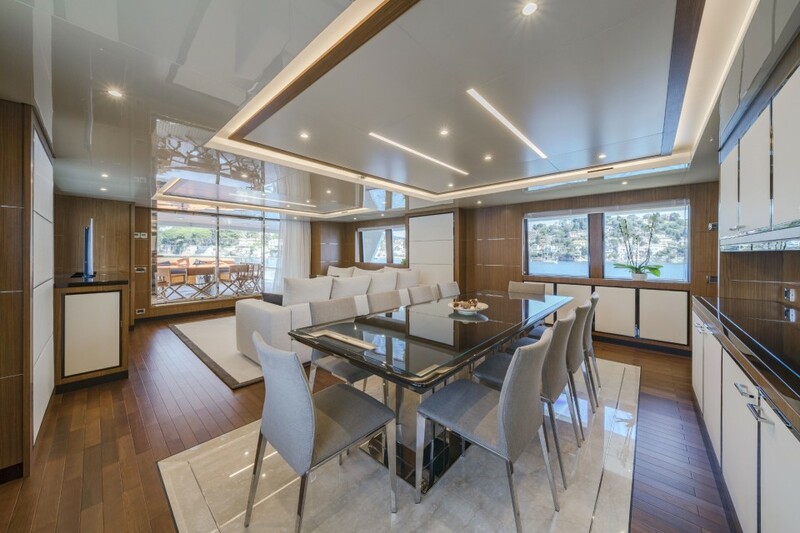 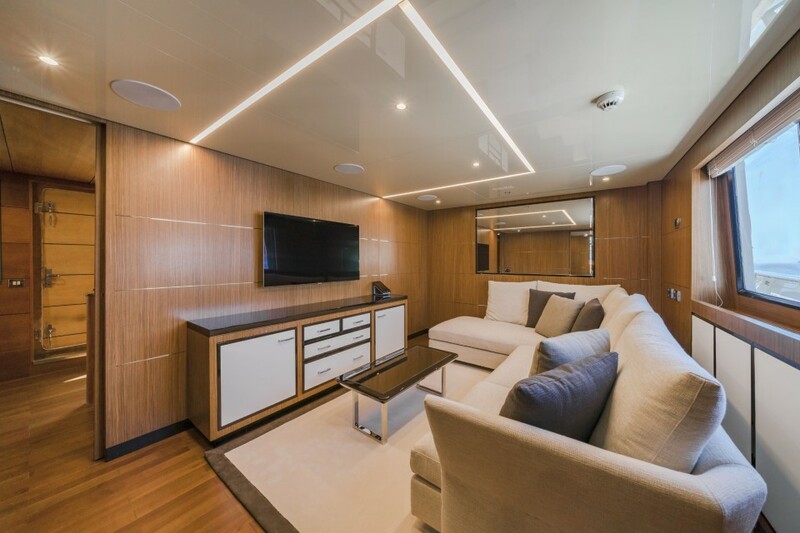 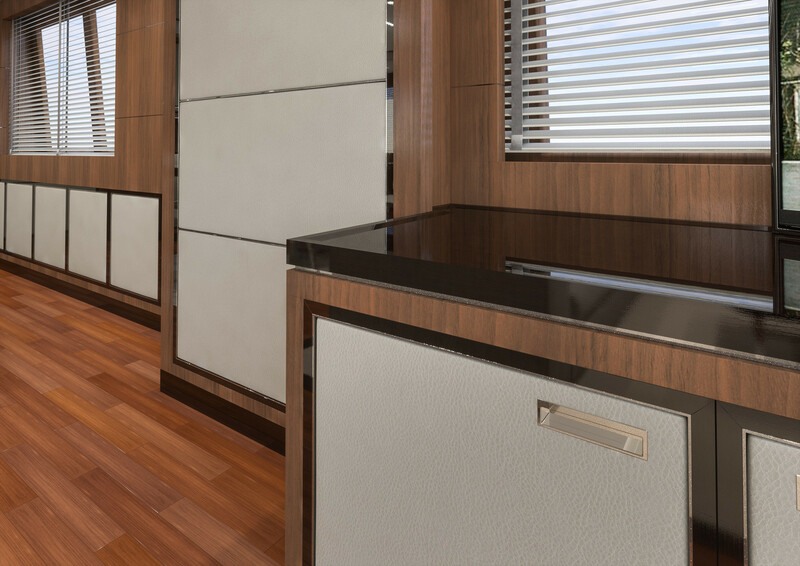 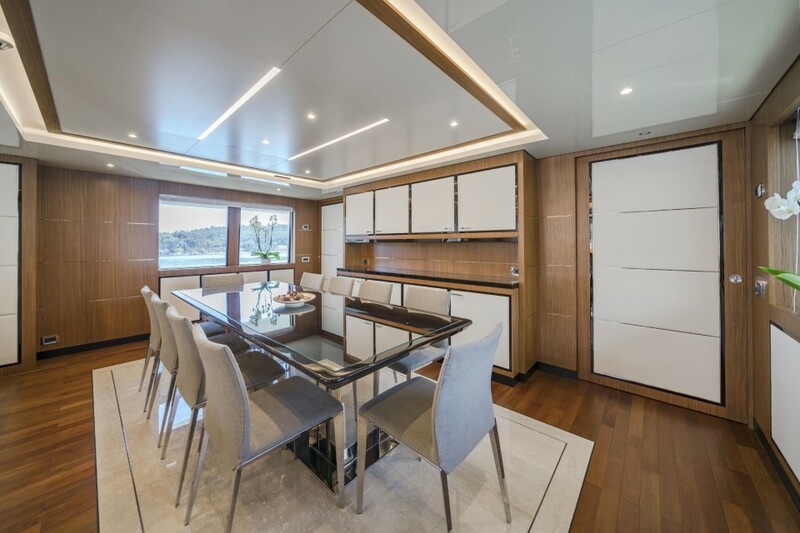 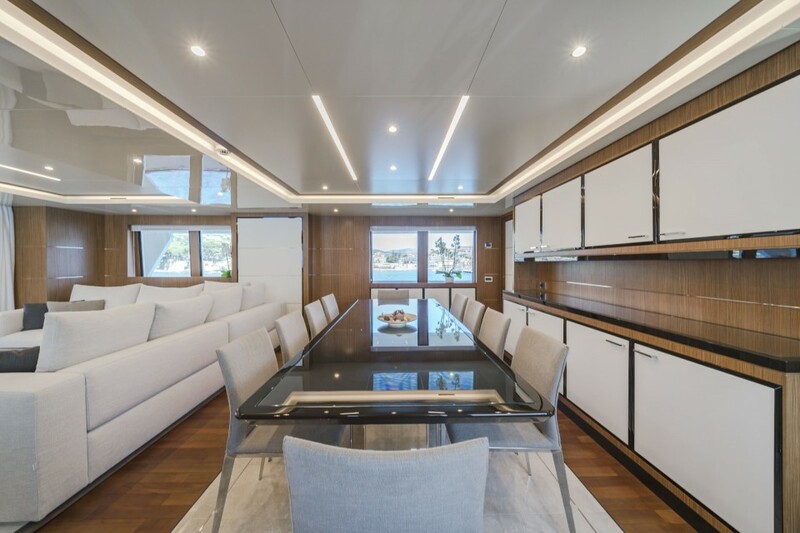 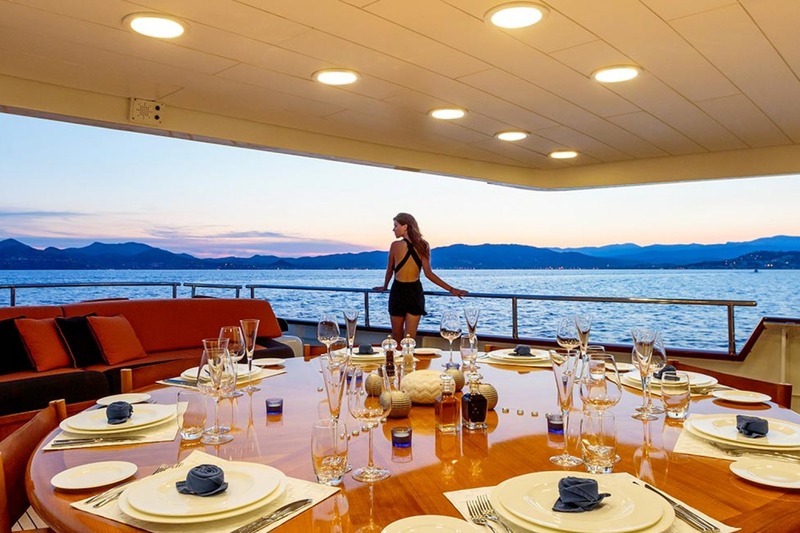 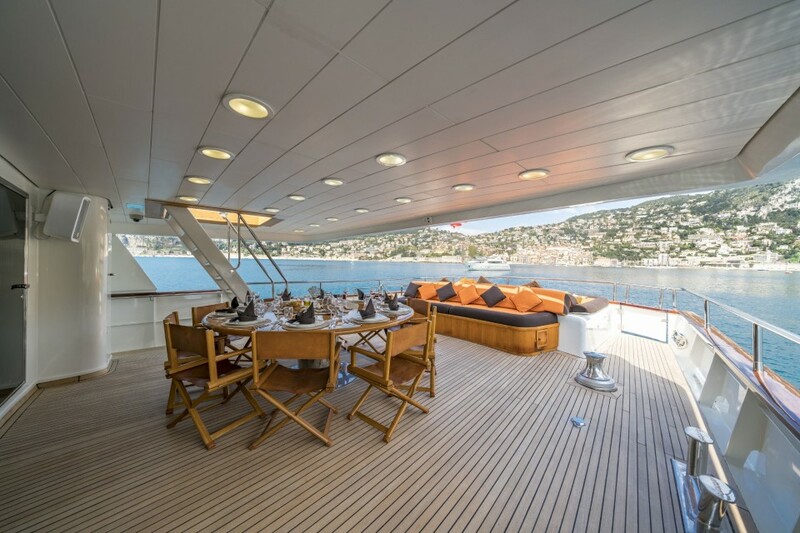 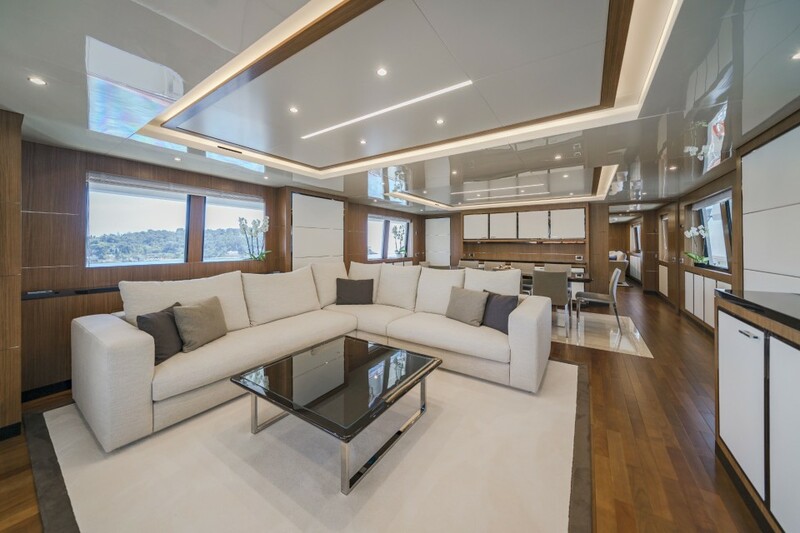 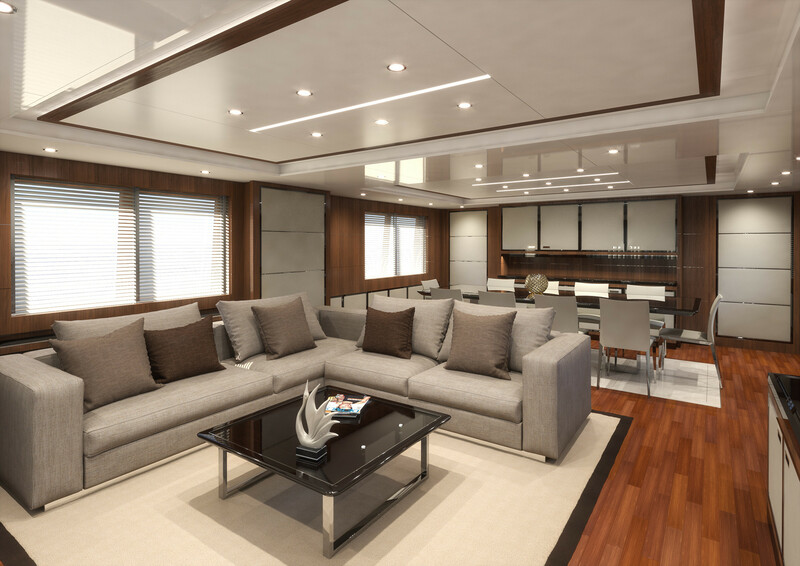 One of Motor Yacht FIORENTE’s greatest features is her vast deck spaces which offer guests plenty of room for dining, relaxing and entertaining. 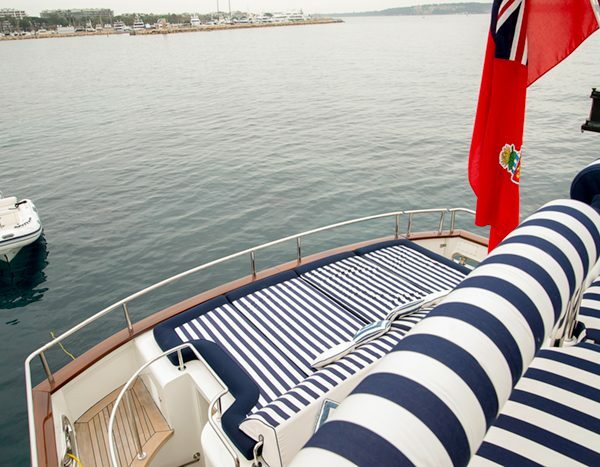 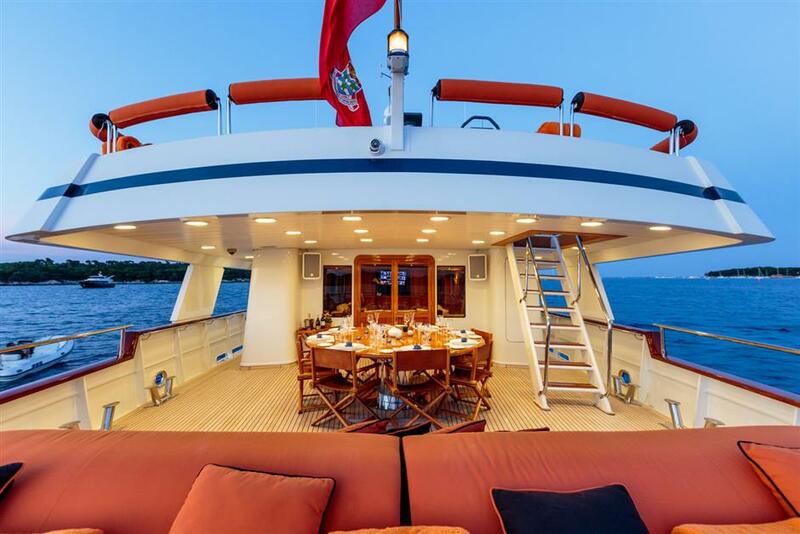 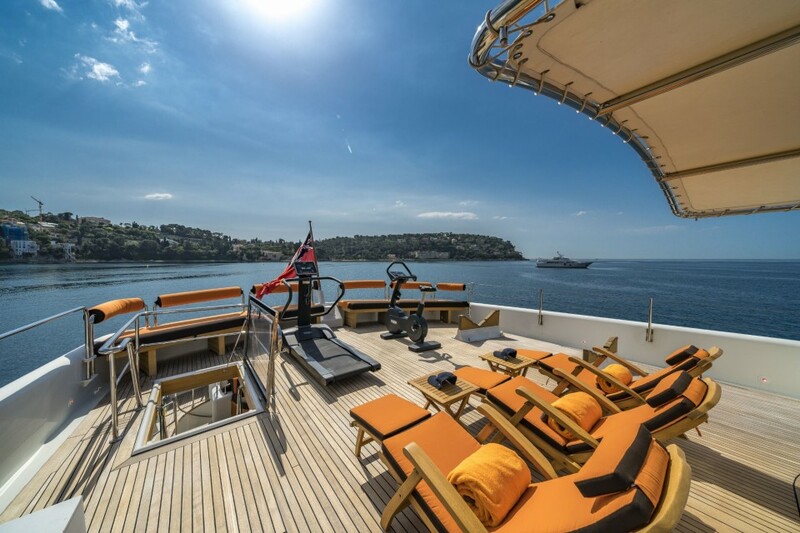 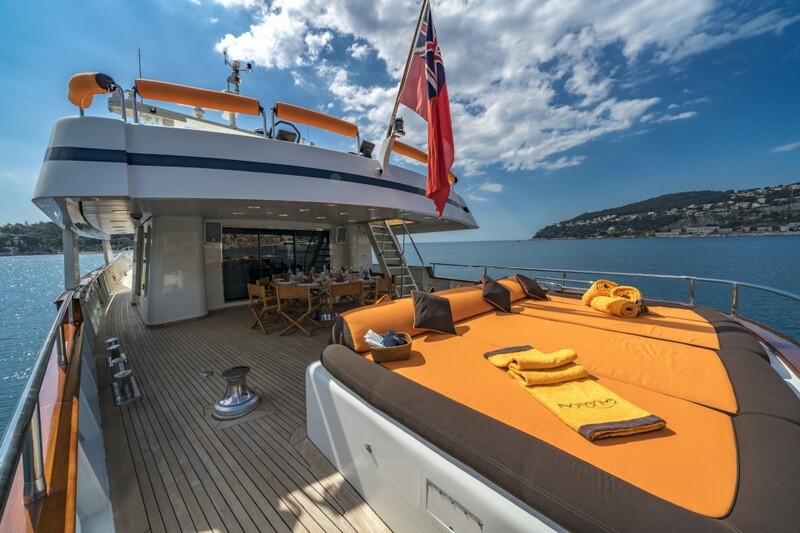 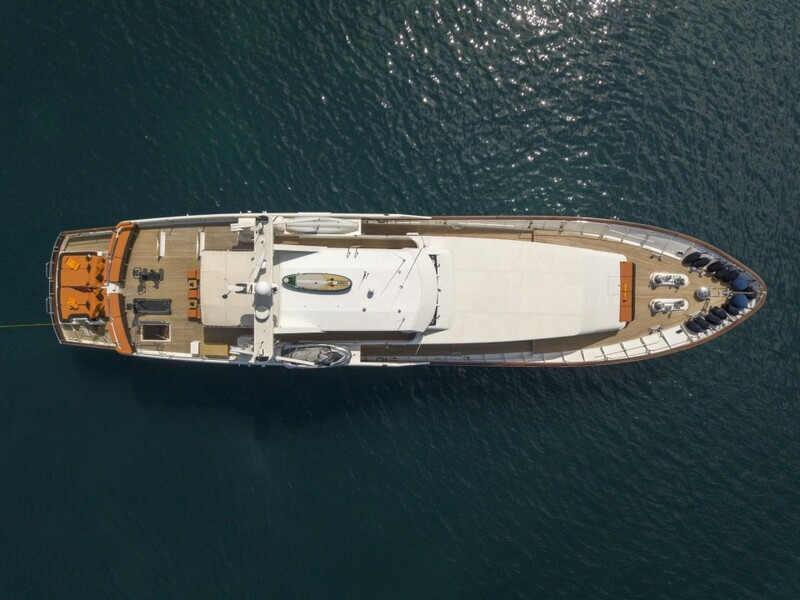 Her expansive sundeck offers the ideal viewing platform. 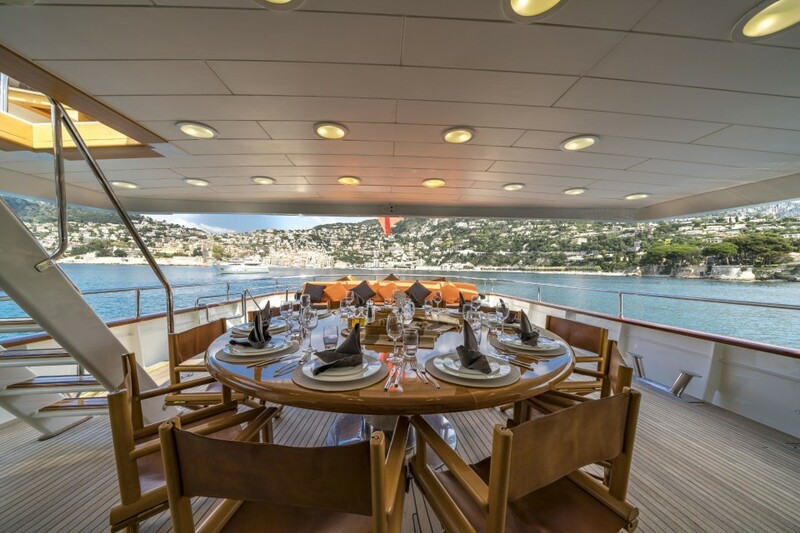 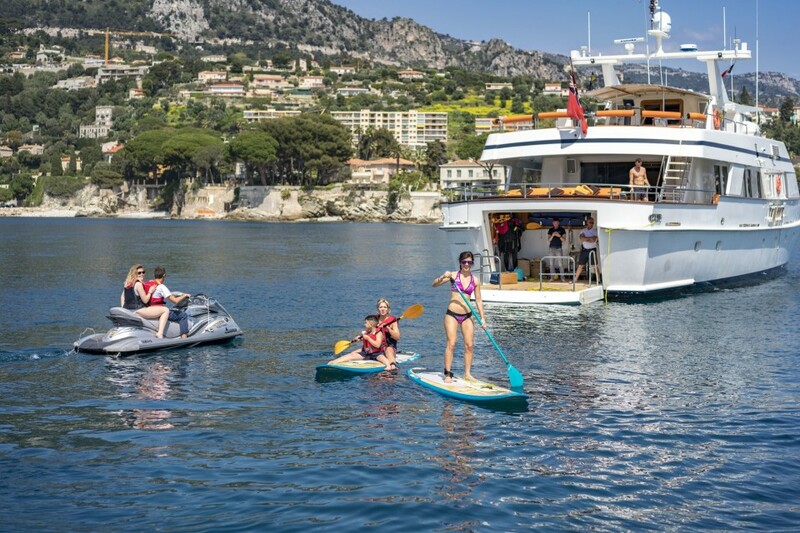 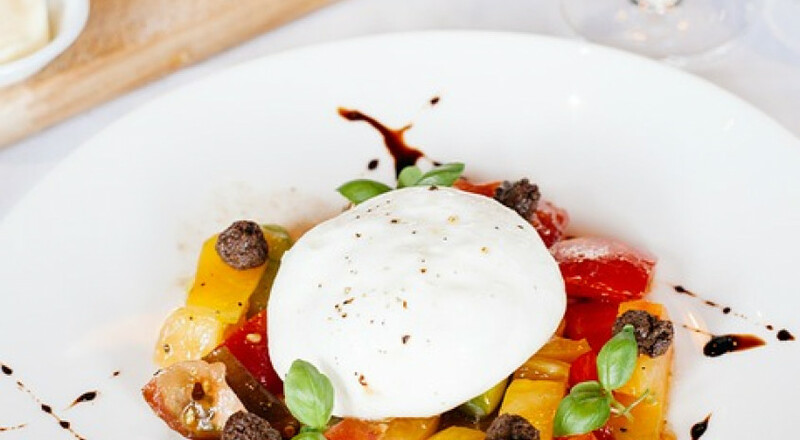 For outside entertainment, FIORENTE offers alfresco dining for 12 on the main aft deck and additional dining for six on the sundeck. 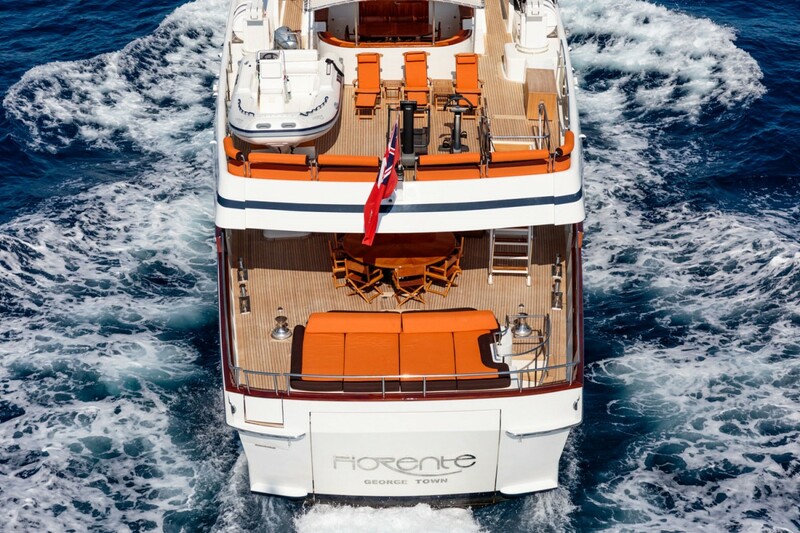 During special events, FIORENTE can host 50 guests at the quayside. 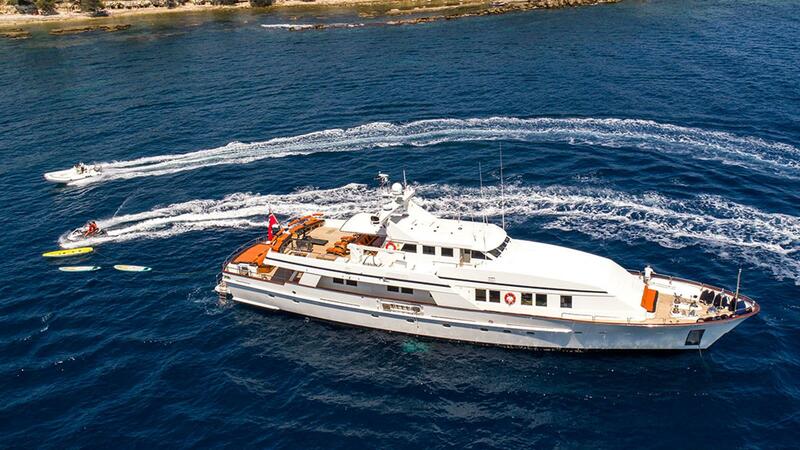 She is powered by two 500hp Scania engines, which gives her a cruising speed of 12 knots with a range of 2,800 nm. 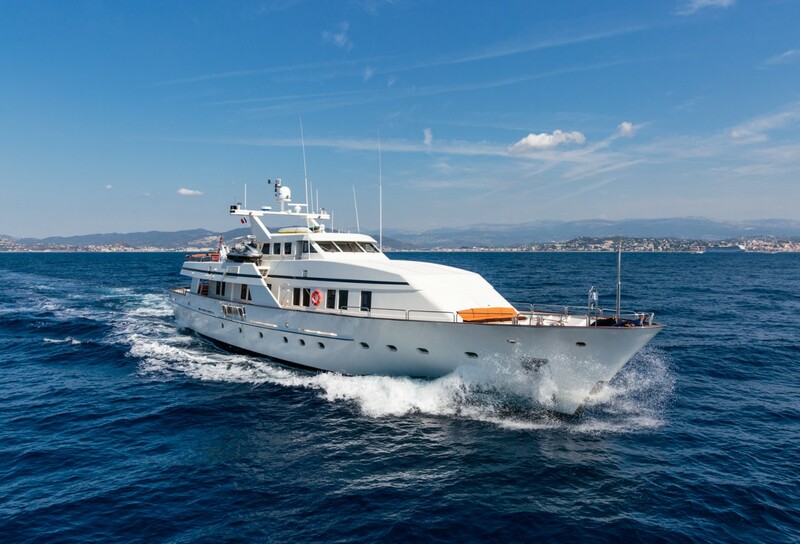 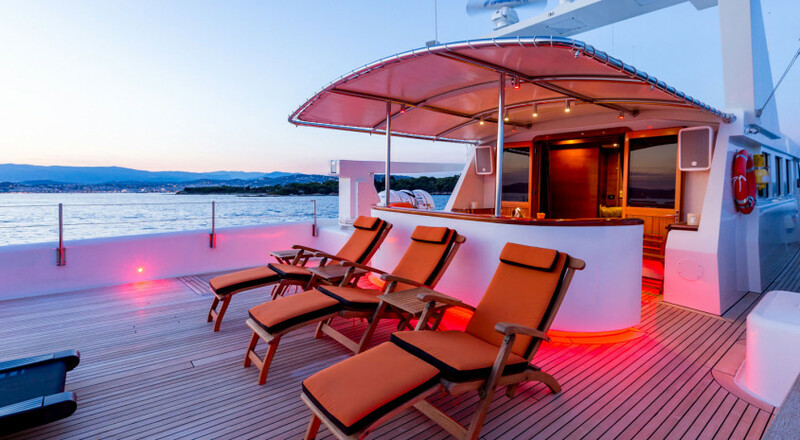 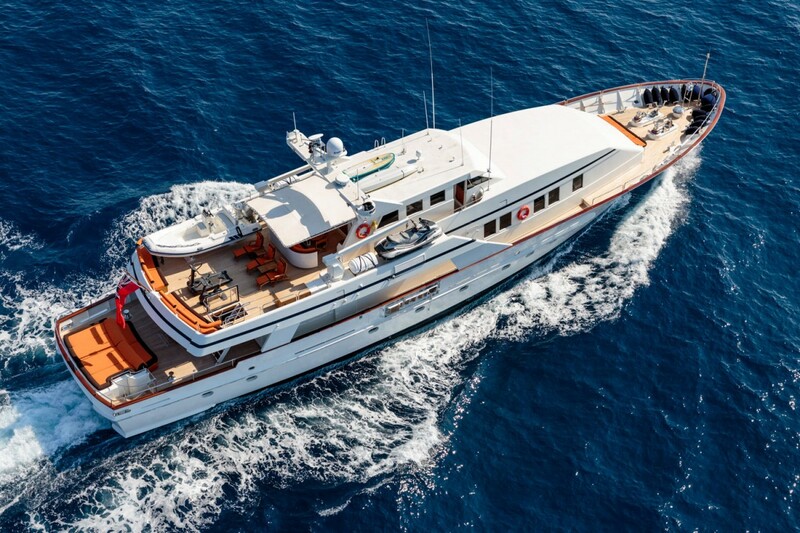 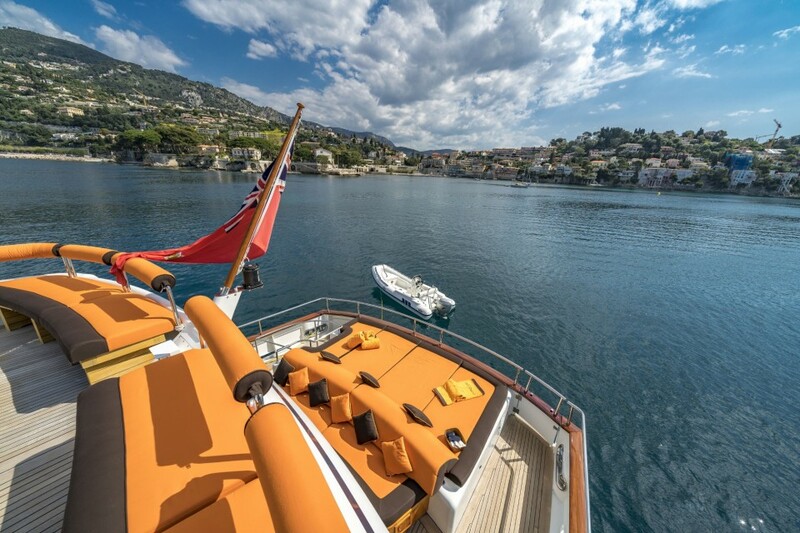 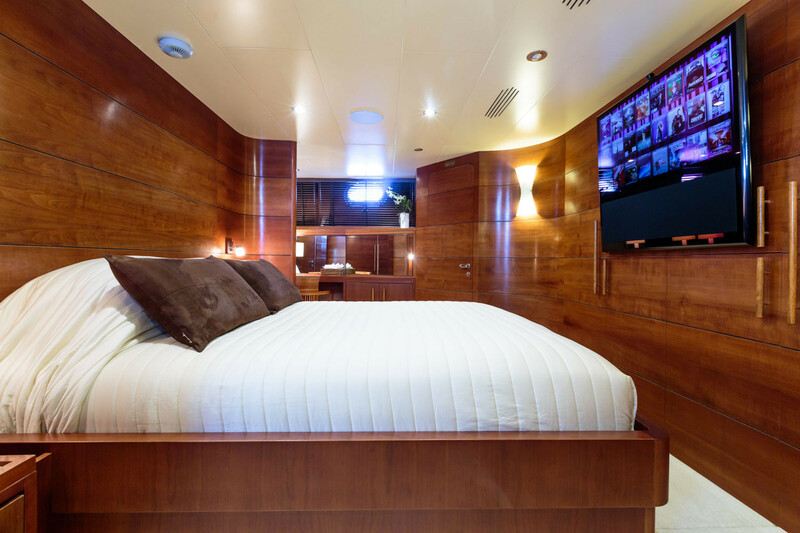 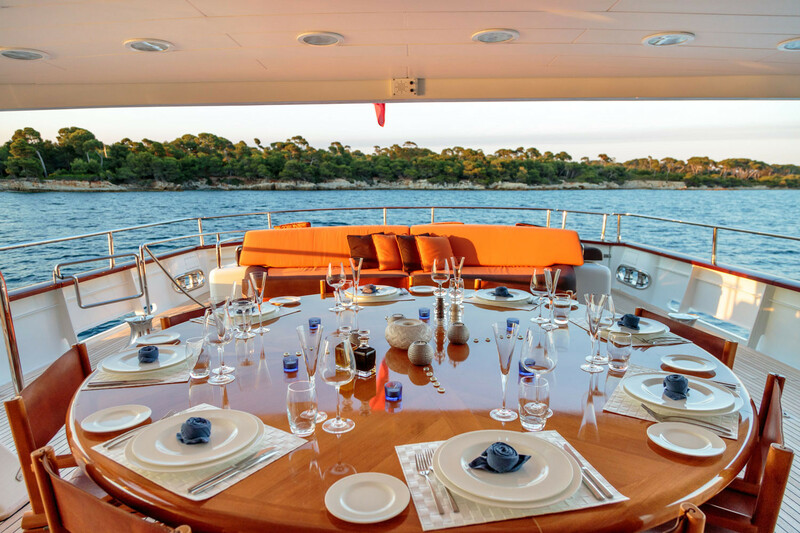 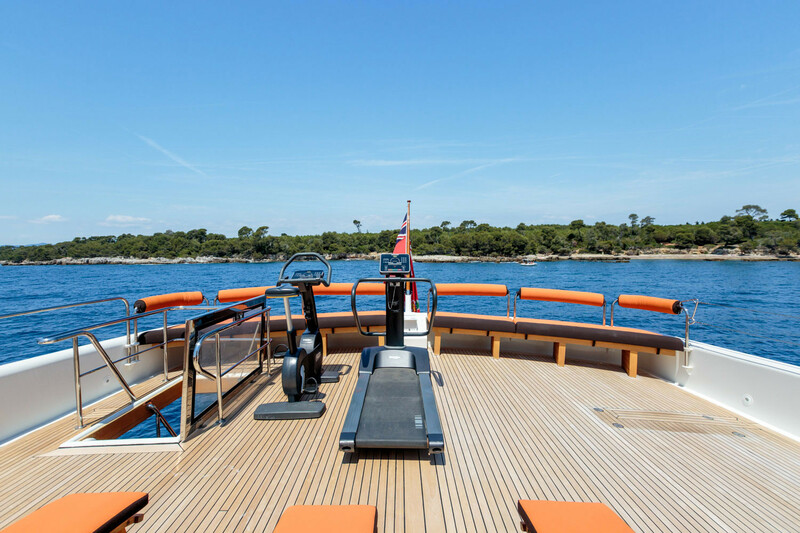 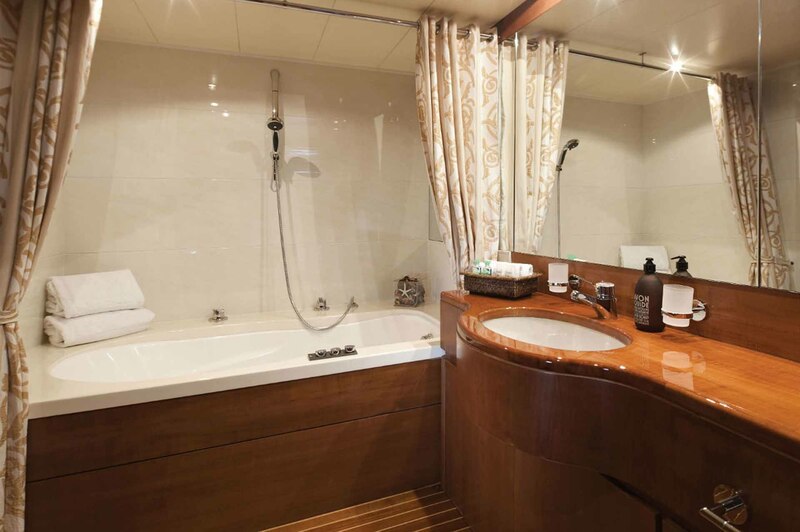 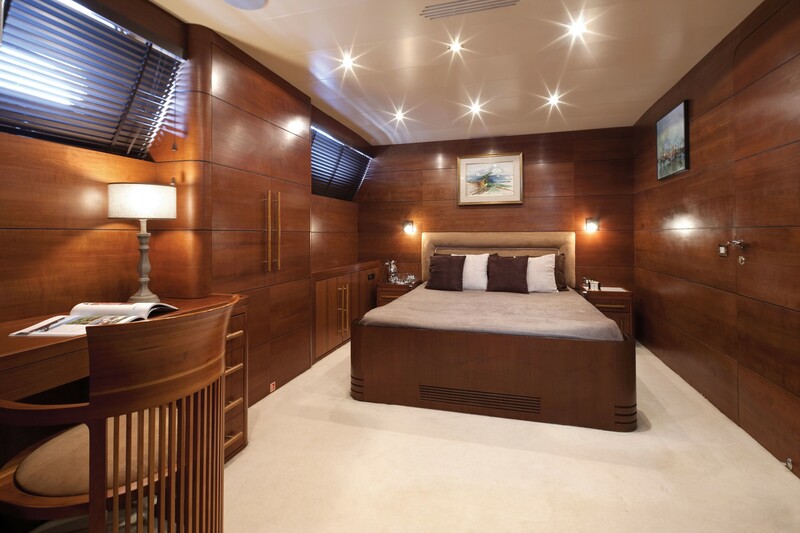 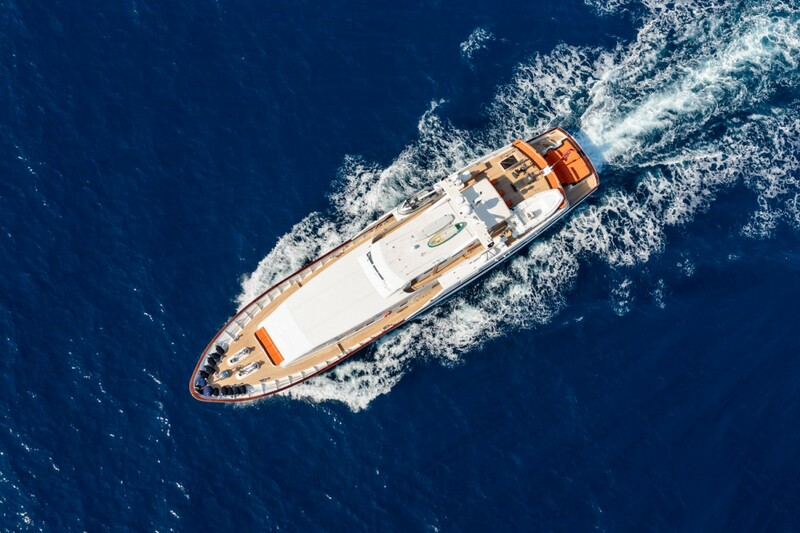 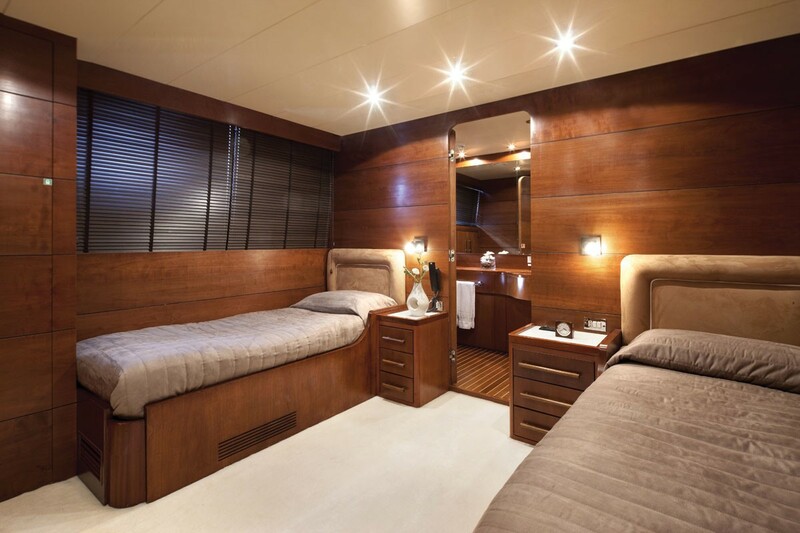 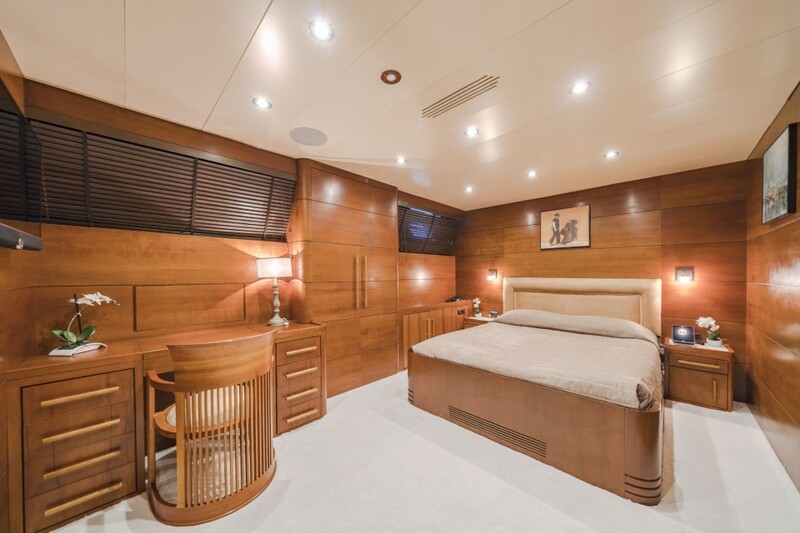 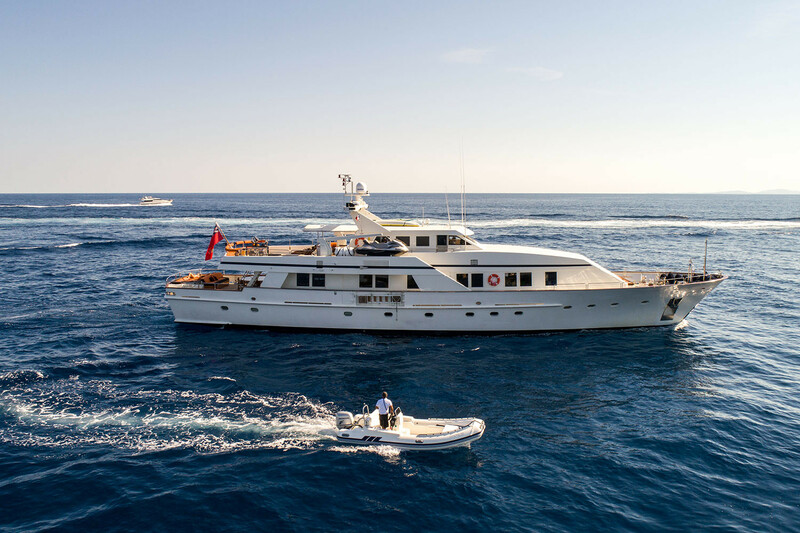 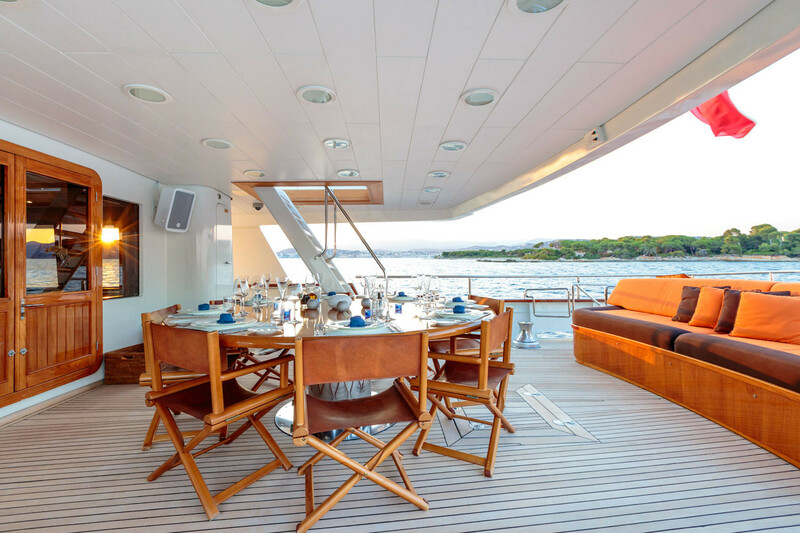 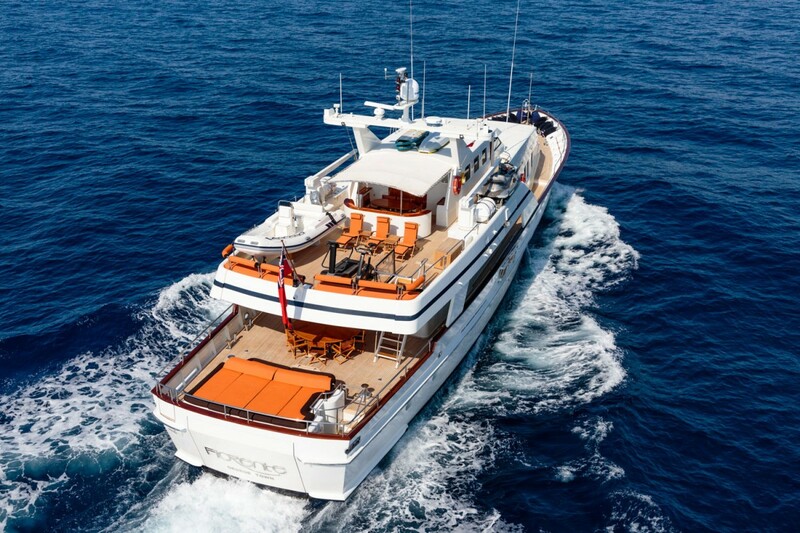 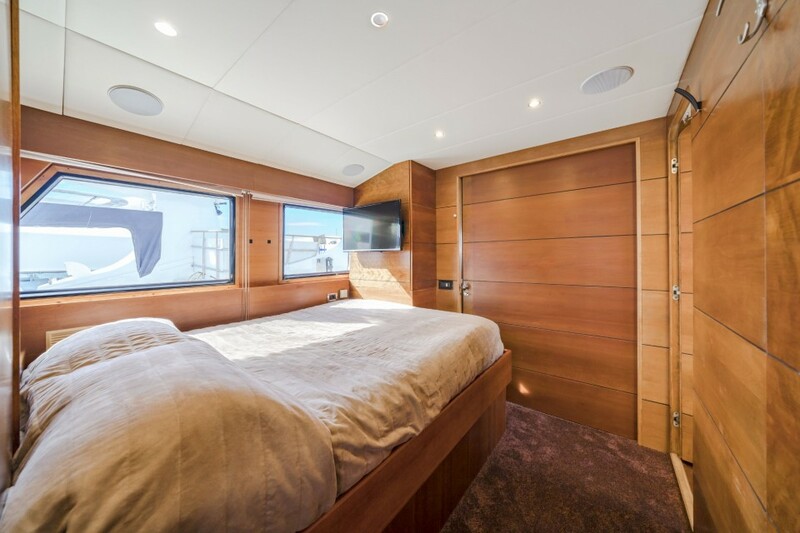 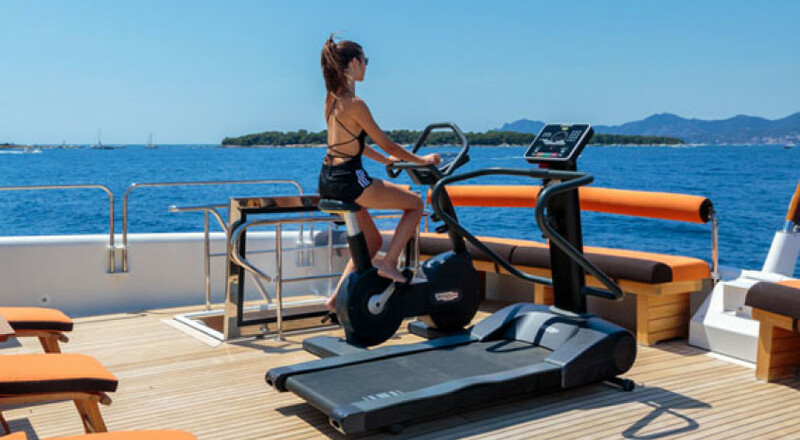 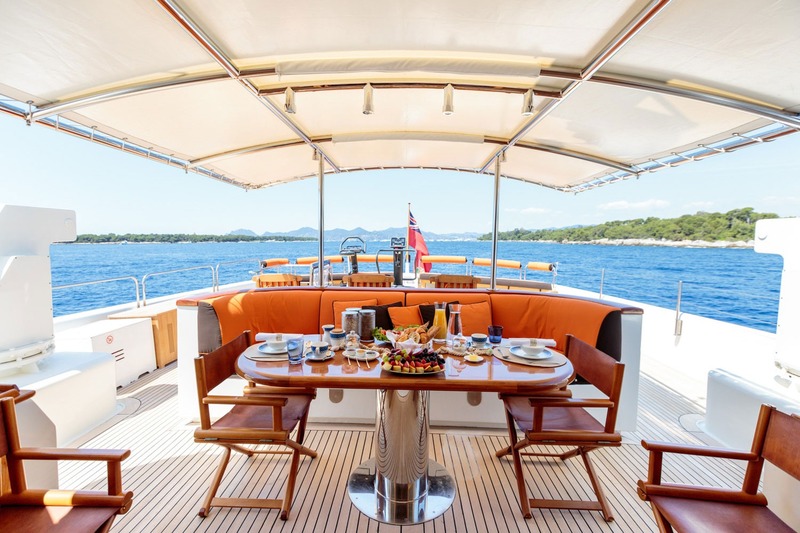 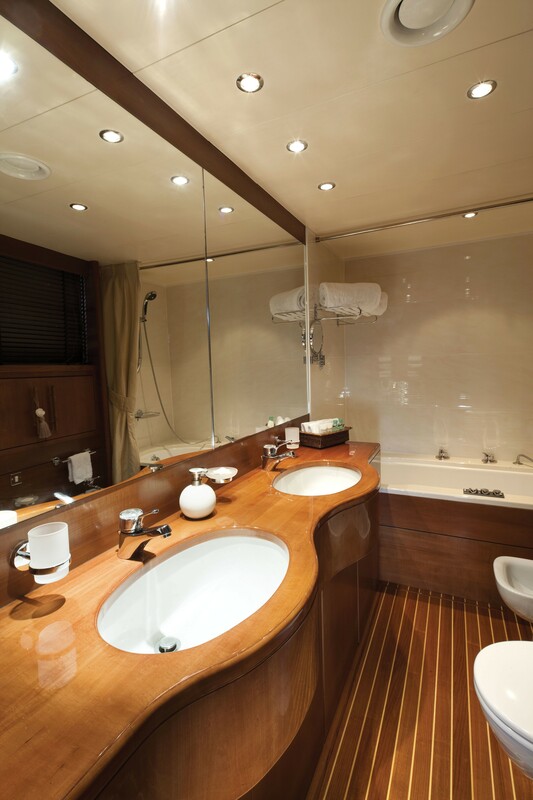 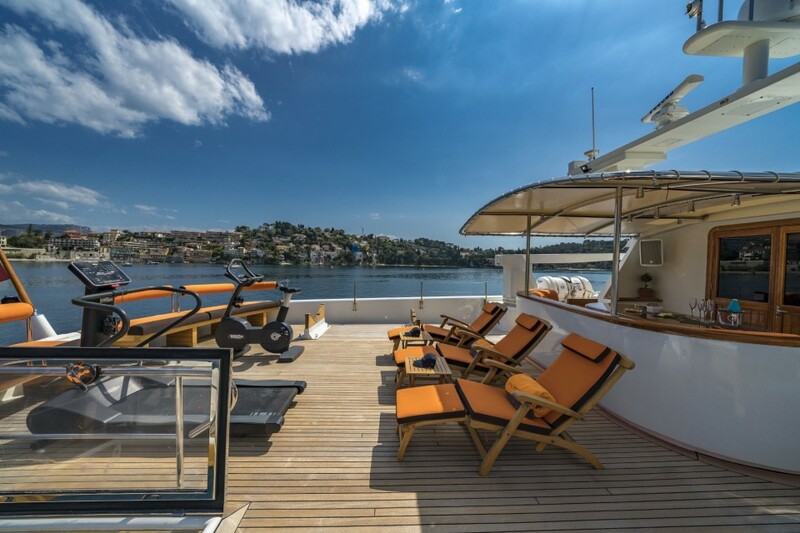 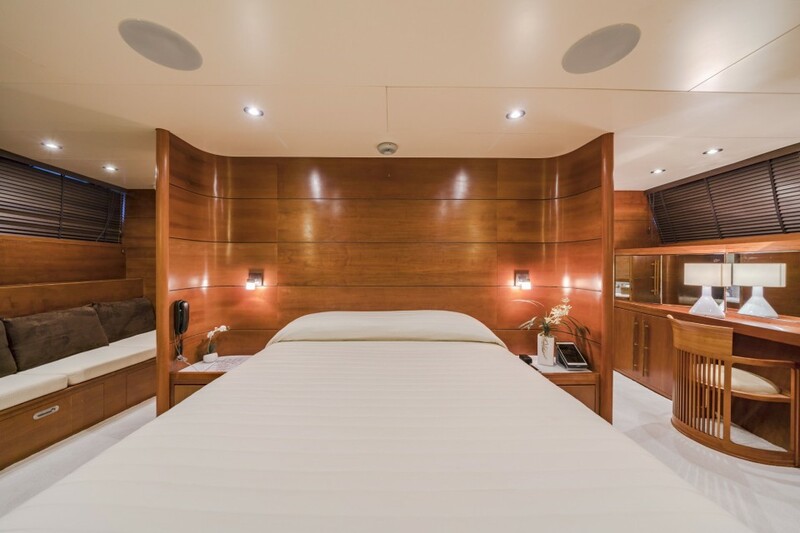 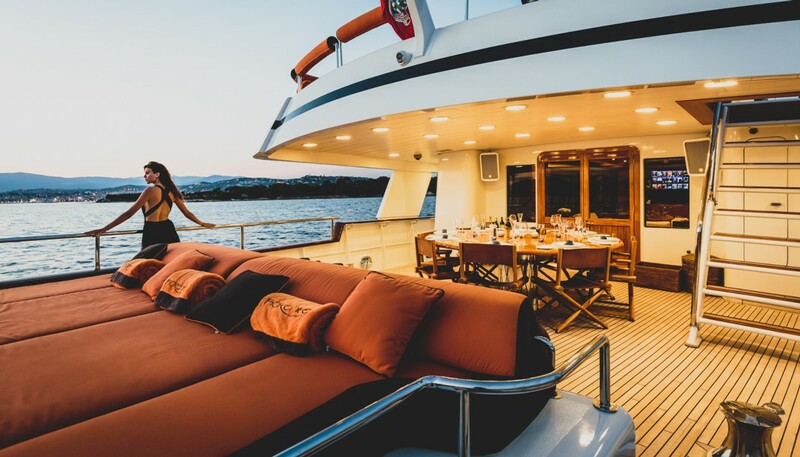 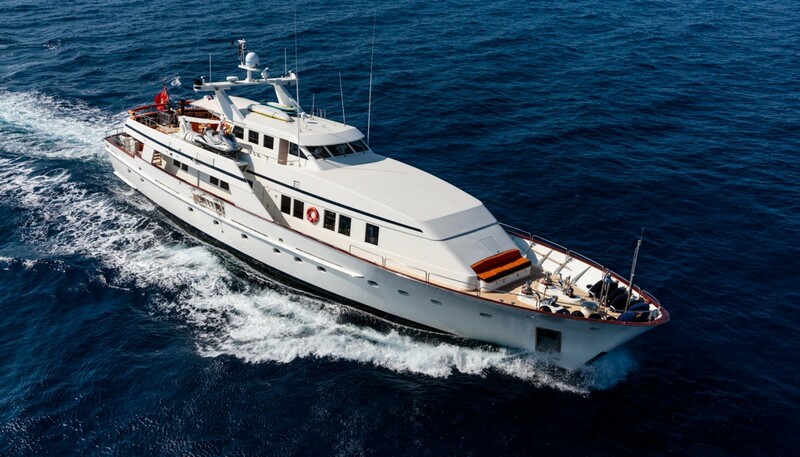 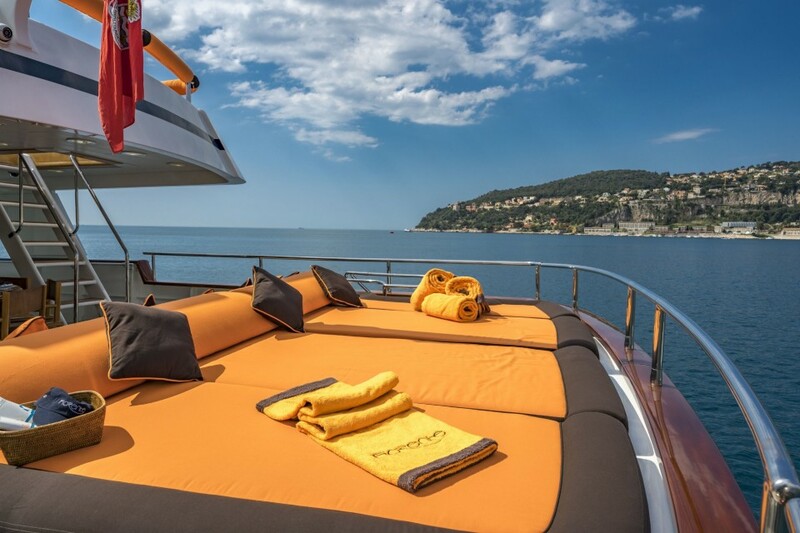 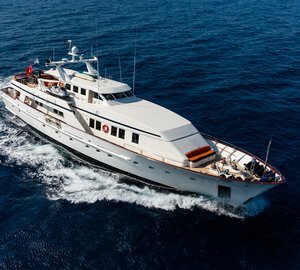 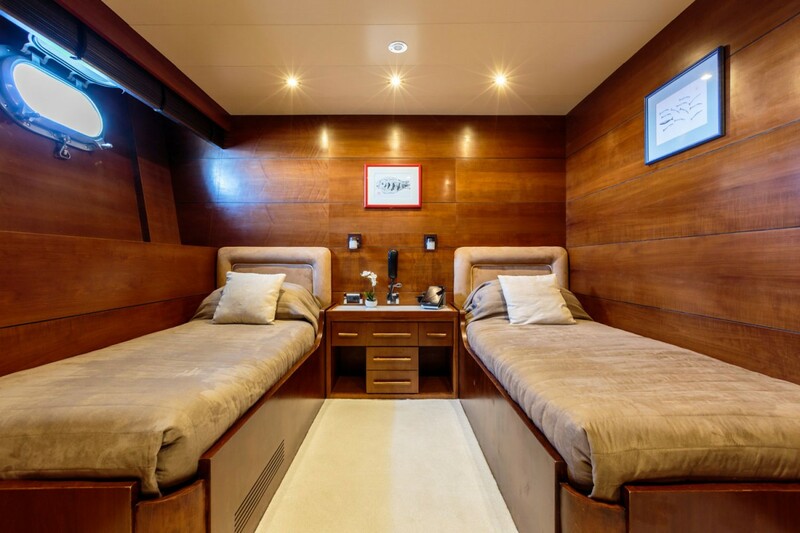 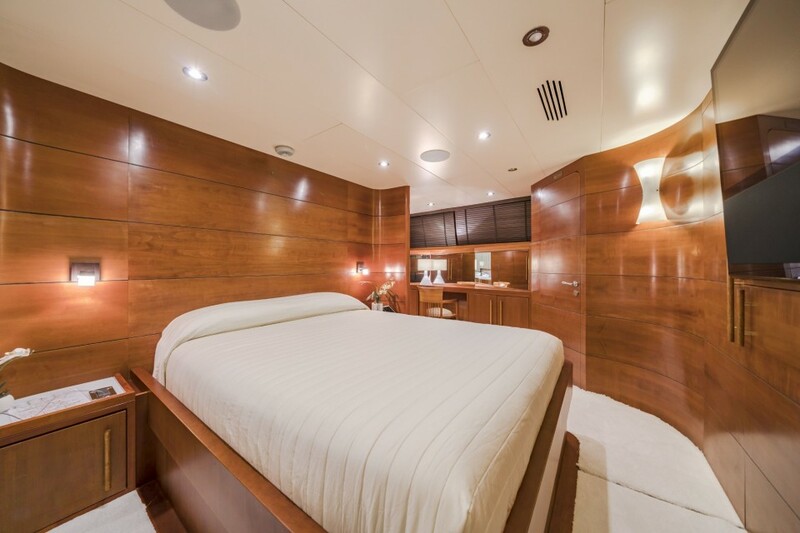 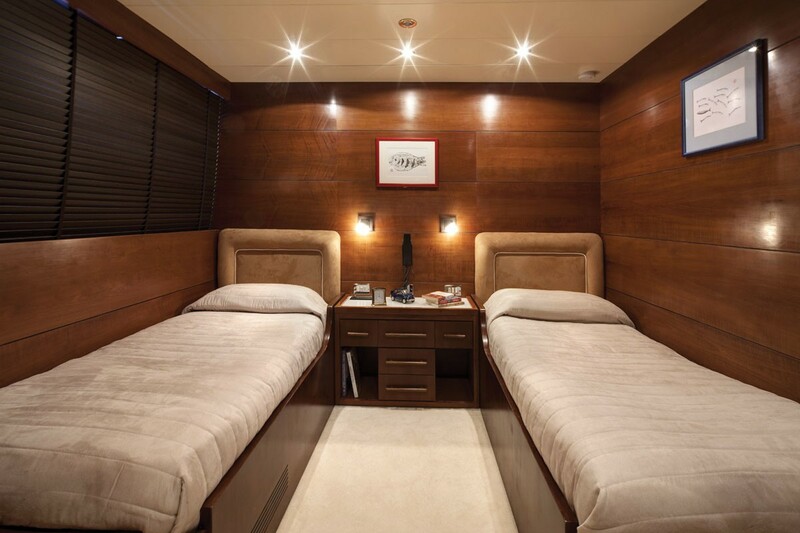 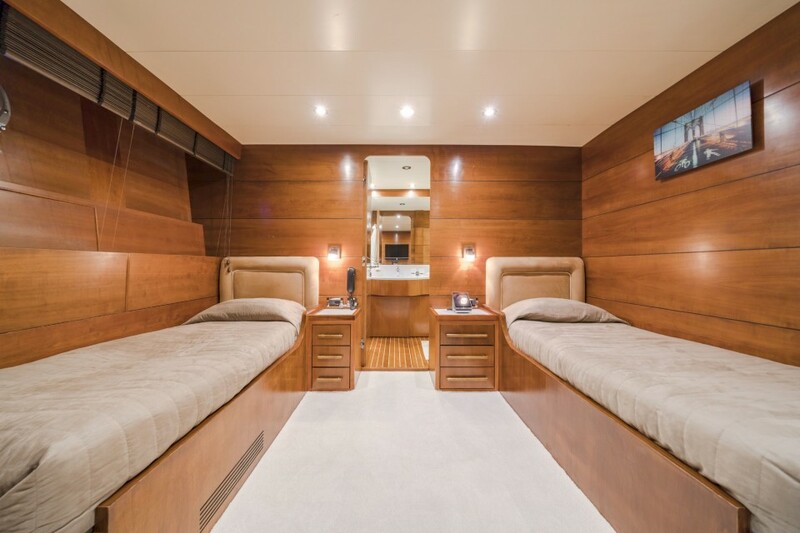 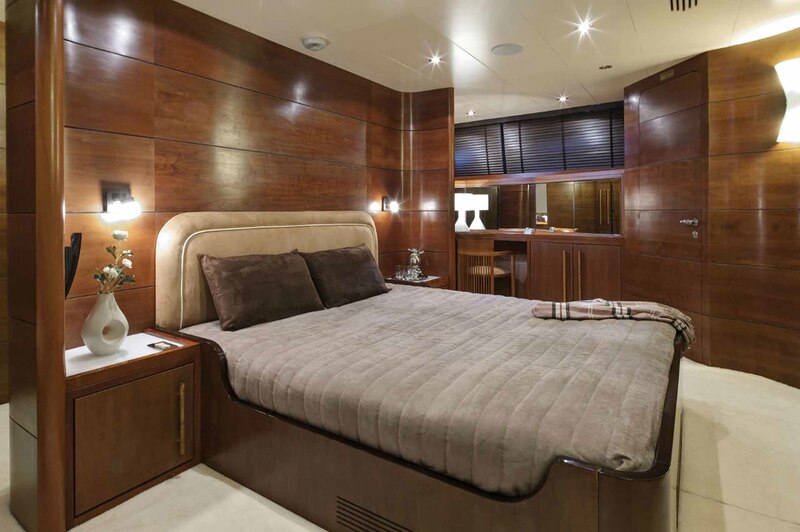 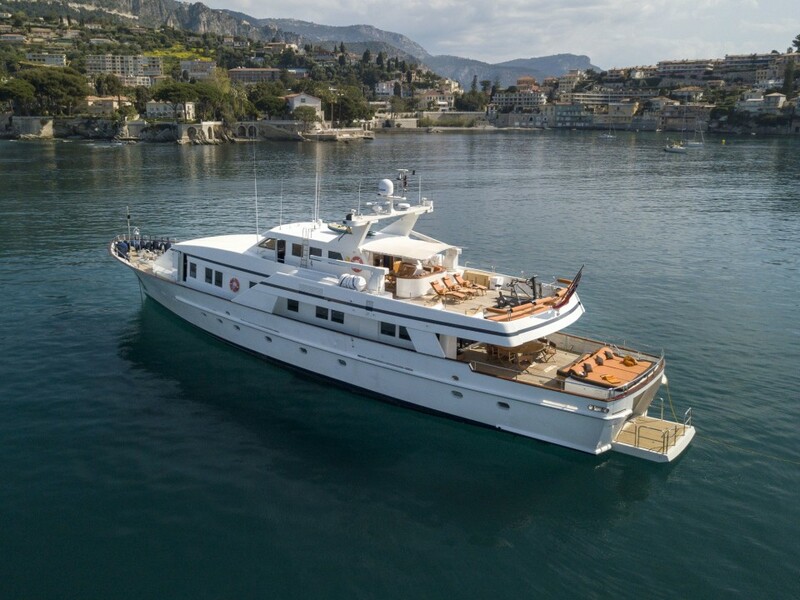 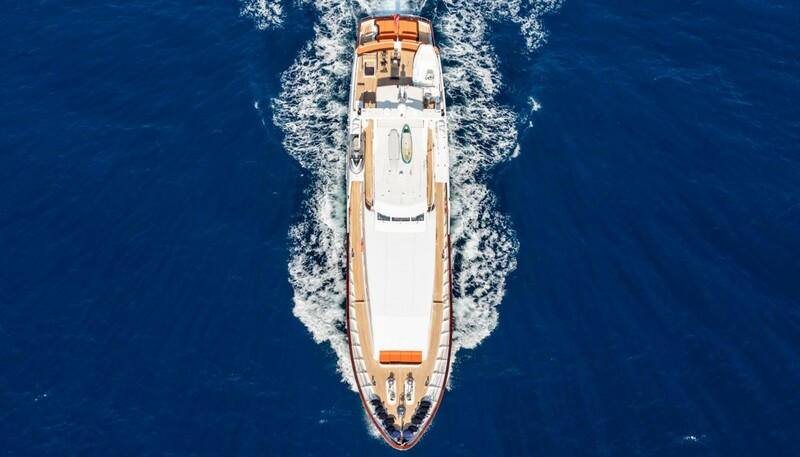 Motor Yacht FIORENTE offers accommodation for 10 guests in five cabins. There is a master suite, two double and two twin staterooms. 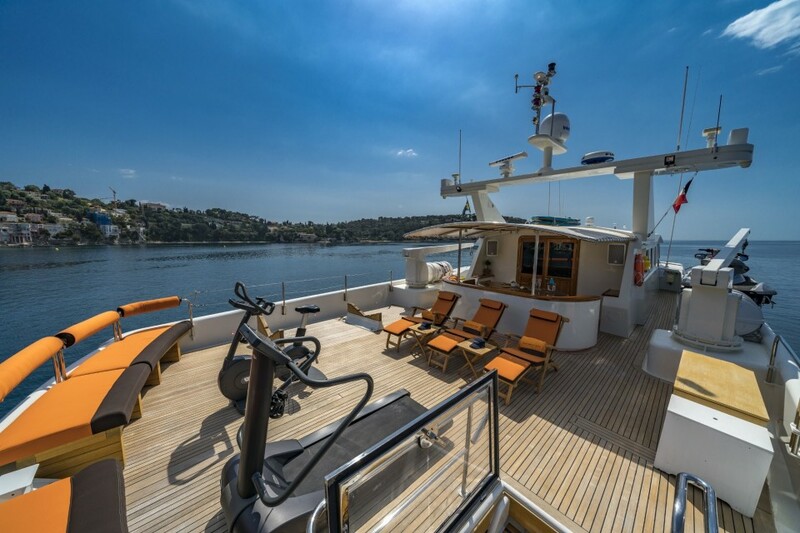 Motor Yacht FIORENTE is equipped with the following tenders and toys: 5.1m ALSON Tender with 90hp Honda four stroke outboard engine, 2 Yamaha GPR 800 wave runners (2-seater each), a banana for 4 people and a small one for just 2, a double kayak, a full range of water skis for beginners to advanced and for children, an eagle wing (towable, inflatable toy) plus snorkeling and fishing gear including big game fishing. 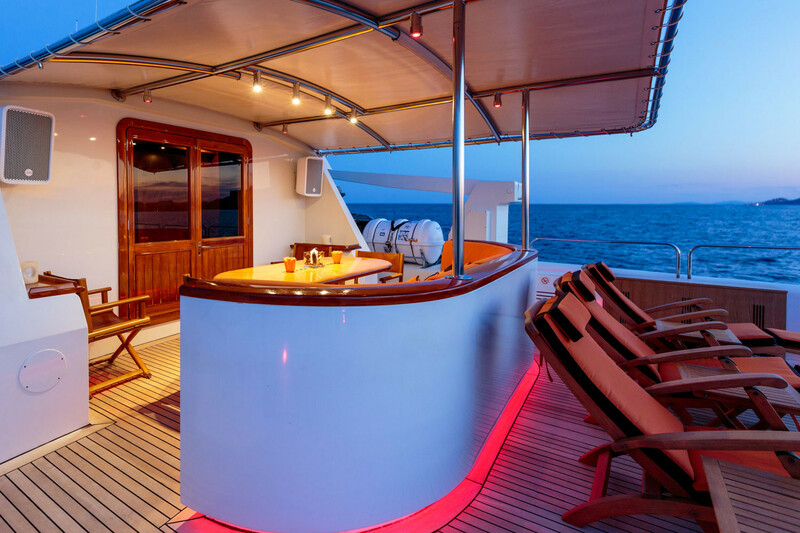 Communications onboard including a Satcom B and Satcom Mini M, VHF & SSB. 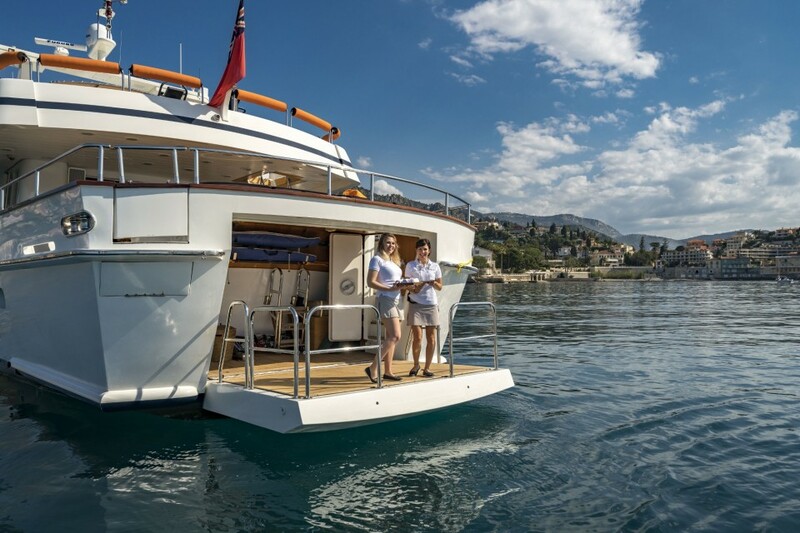 The Internet is available in most ports and some anchorages. 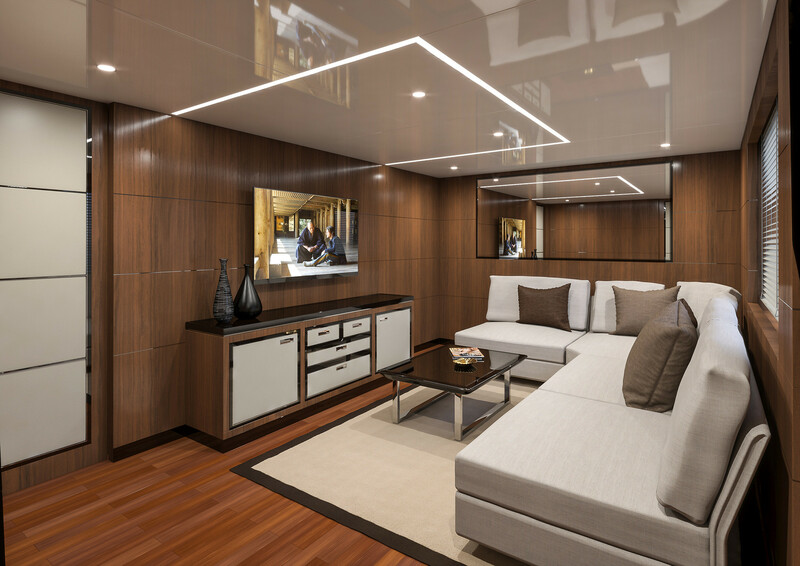 Entertainment facilities onboard including a TV, DVD and CD system in the main salon and all cabins with the salon and owners suite also having Sat TV.